After 15 years as an officer and pilot in French naval aviation, Guillaume left naval life as a Commander with an accumulated 2,500 flight hours. He spent six years at Turbomeca where he served as Head of Sales, then Director of Marketing and Sales Promotion. He was then appointed Director of three British companies, Turbomeca Limited, Rolls-Royce Turbomeca Limited and Rolls-Royce Snecma Limited. 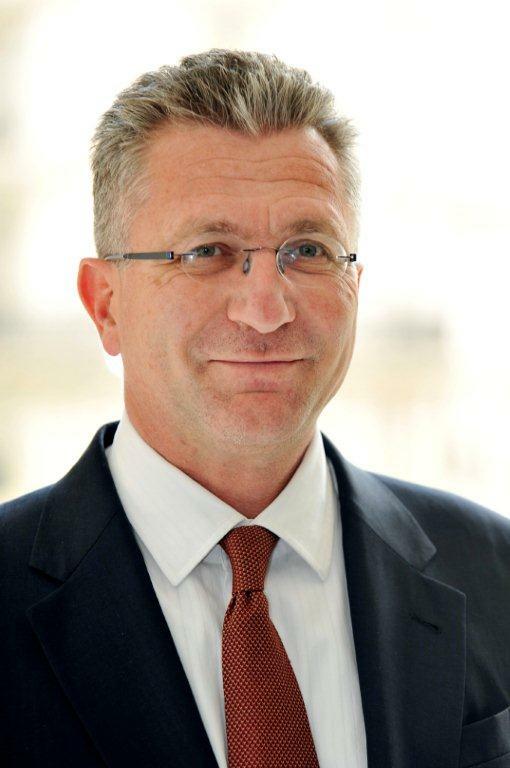 Guillaume subsequently joined Groupe Safran (a merged Snecma and Sagem) as Deputy VP of International Affairs. 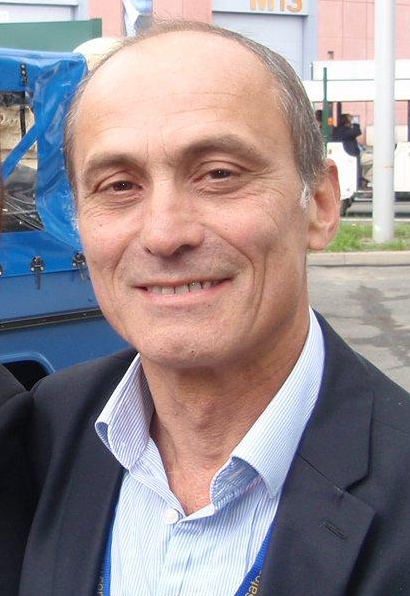 In July 2007 Guillaume became Chairman and CEO of Sofema. Passionate about aviation having graduated from business school, Frédéric founded his own company in the aviation defence sector in 1989. After twenty years of activity and specialisation in the field of French military aircraft support, he was faced with the logical choice of joining forces with Sofema to participate in the creation of what has become the French leader in 1st generation overhauled-equipment and spare parts supply. As Deputy General Manager of Sofema, Frédéric brings his expertise to bear on successive successful realisations that confirm Sofema’s position in the marketplace. A graduate of the HEC business school’s International Programme of Management - London/New York, Patrick has a resolutely commercial profile, joining Ofema in 1982 (becoming Sofema in 1997). He oversees the subsidiaries network abroad and participates actively in the protection of Sofema’s share holder’s interests on five continents. Most recently he has increased Sofema’s advisory activities in the medium-sized aeronautics, defence, energy and infrastructure business sector. Today he is Deputy General Manager of Sofema, a member of the company’s management committee and of Défense Conseil International’s (DCI) and Sofresa’s Board of Directors. Sophie is an international business graduate, with experience in both commercial upstream functions (procurement, agreement negotiations, project identification) and downstream (export sales). Her specialist area is India – where numerous field missions have enabled her to acquire an excellent command of international negotiations plus partner and local network facilitation. She is in contact with all key players in the Indian defense sector – including private, public and state agencies. After a decade spent in marketing and another ten years spent in international development, this globe trotter unpacked his packs in the aeronautic field – an avowed passion - in 2005. He joined Sofema in 2009. He is Operational Support Manager as well as a member of the management committee. As such, he is in charge of all Sofema’s production, storage facilities and logistics. After studying engineering in Paris and in a business school in Stockholm, as well as subsequently working at the Departement of International Affairs at the Ministry of Defence in France, Stéphane spent several years exporting hi-tech products to Scandinavia. Thereafter, he joined ARCOM, a small firm specialising in supplying first generation equipment from the french defense sector. The success of this niche business was fully was fully in synergy with Sofema's stratégy which naturally lead it to acquire the company in 2004 and integrate it in 2009. Since then, Stéphane has deployed his skills within Sofema, following relevant markets, purchasing inventories, treating obsolescents parts, contacting various qualified subcontractors... In short, he works to give Sofema's teams the means to source essential spare parts officially classified as 'unfindable'. After twelve years working at France’s Ministry of Defence, including three years working in the Office of the Minister of Defence, Frédérique joined Sofema in 1996 where she managed all contacts with internal and external players. Her personal approach and keen business sense has made her a trusted collaborator at management level. Since 2008, she manages the Human Resources Department of Sofema and is a member of the Company’s Board of Management.